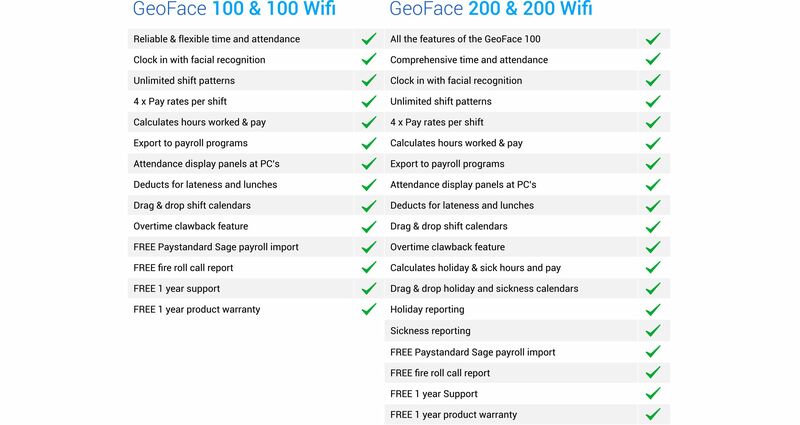 The GeoFace range comes with 2 different time management software options depending on your companies size and requirements. Each employee presents their face to the GeoFace clocking in terminal and once recognised this creates an in/out transaction. The terminal displays the result of the attempt along with an audible message.